CCVO (Calgary Chamber of Voluntary Organizations) is a member-based charitable organization that was established in 2004 to strengthen Calgary’s vibrant nonprofit/voluntary sector, and address sector-related public policy issues in Alberta. The high quality of life enjoyed in our communities is built on many of the programs, activities, and services run by more than 26,000 nonprofits and charities that make up Alberta’s nonprofit sector. We are proud to support these organizations through our sector research, advocacy, and informed convening and programming activities. A vital, dynamic nonprofit sector that is recognized and respected as an integral partner in building strong, healthy communities. CCVO is a credible representative for the Alberta nonprofit sector. We keep nonprofits top of mind with governments at all levels by sharing an informed voice on critical issues affecting charities and nonprofits in Alberta. We monitor emerging issues, provide decision-makers with a credible source of information about sector impact, and help nonprofits make sense of policy changes and sector-wide implications. Strengthening the effectiveness and capacity of organizations and the broader nonprofit sector is a major focus for CCVO. Our workshops, practical resources, and promotion of innovative practices reinforce standards of practice that enable organizations to adapt to external factors and better serve community needs. Our Reach Hire nonprofit career centre connects skilled talent with nonprofit employers. CCVO recognizes the importance of bringing people together in the spirit of shared dialogue and learning to network, share ideas, and build relationships, drawing on the rich knowledge existing in our community. We are a convener that brings together nonprofit professionals and sector supporters for networking events, learning workshops, and roundtable discussions around shared interests. In the spirit of our efforts to promote reconciliation, we acknowledge the traditional territories and oral practices of the Blackfoot, the Tsuut'ina, the Stoney Nakoda First Nations, the Métis Nation Region 3, and all people who make their homes in the Treaty 7 region of Southern Alberta. We also respectfully acknowledge that the province of Alberta is comprised of Treaty 6, Treaty 7, and Treaty 8 territory, the traditional lands of First Nations and Métis peoples. The need for an umbrella organization for Alberta's nonprofit/voluntary sector was identified in the late 1990s following growing recognition that the common concerns of the sector could be addressed by forming an organization to help build capacity, and to take a leadership role on cross-cutting nonprofit policy issues in Alberta. 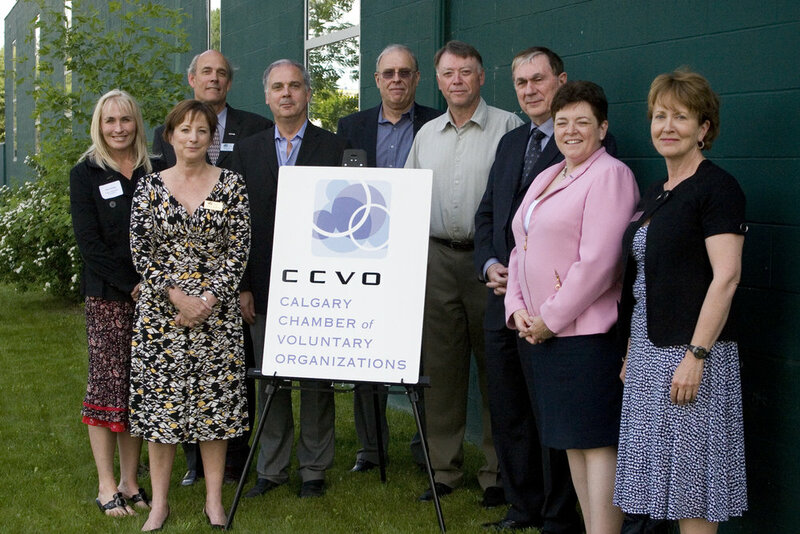 In 2004, CCVO (Calgary Chamber of Voluntary Organizations) emerged as an inclusive membership-based organization to strengthen Calgary’s vibrant nonprofit/voluntary sector, and address sector-related public policy issues in Alberta. Our sister organization, the Edmonton Chamber of Voluntary Organizations, was created around the same time to enhance the capacity of Edmonton-area nonprofits. The history of CCVO began in 1997, around the time of the federal election. Three volunteer centres across Canada – Montreal, Halifax and Calgary – were asked by the Voluntary Sector Roundtable, a coalition of Canadian national nonprofit organizations, to host town hall meetings on nonprofit/voluntary sector issues with local politicians and the public. It became clear through those discussions that politicians had little understanding of the vital role our sector plays in society. Subsequent to this meeting, The Muttart Foundation gave Volunteer Calgary a grant to research establishment of an entity that would represent the sector. The result was a report titled An Alberta Chamber of Charities: Something for Now. This report proposed a chamber model for the nonprofit/voluntary sector, much like the Chamber of Commerce represent the interests of small to medium sized businesses in the private sector. The idea for a nonprofit chamber was initially set aside due to lack of broad interest. It eventually resurfaced following the work of the Broadbent Panel on Accountability & Governance in the Voluntary Sector. The panel produced and released their report Building on Strength: Improving Governance and Accountability in Canada’s Voluntary Sector in 1999. Following that, federal government representatives and leaders in the nonprofit/voluntary sector convened to develop a proactive go forward plan. This was an historic event in that three joint tables were created, all jointly chaired and equally representative of senior levels of the government and the nonprofit/voluntary sector. The panel’s final report, Working Together resulted in 26 key recommendations for a proactive plan to move forward. In February of 2000, the Calgary Workplace Volunteer Council (CWVC) and Volunteer Calgary hosted a sold-out event to update the Calgary community on the potential impact of the Working Together document. Participants at the event were asked to prioritize the recommendations in the Working Together document and to base their ranking on what might be most important to the voluntary sector in Calgary. Their top choice was “Voluntary Sector Voices” – a recommendation aimed at developing processes and structures to ensure that the sector’s diverse voices are heard on matters that have sector wide impact. In response, Volunteer Calgary and the CWVC convened a planning group of community leaders with representatives from CWVC, Volunteer Calgary, the United Way of Calgary & Area, the Association of Fundraising Professionals (AFP), the Calgary Centre for Non-Profit Management (CCFNPM), the City of Calgary, and the Calgary Foundation. This group looked at how best to move forward at the local level with the recommendations in the Working Together document at the local level, and how to address the priorities identified at the February CVWC/Volunteer Calgary event. Previous research regarding the chamber concept resumed, and the re-energized planning group began their work. In June of 2000, the federal government invested $94.6 million over five years to strengthen the voluntary sector’s capacity to meet the challenges of the future, to address needed regulatory change and to enhance the relationship between the sector and the federal government. More than 125 representatives from Canada’s nonprofit/voluntary sector and federal government departments were chosen to begin a joint process – the Voluntary Sector Initiative (VSI) – to implement the 26 recommendations outlined in the Working Together document. A second sold out community consultation was held in Calgary in November 2000, again as part of the CWVC Speaker Series. This time we explored in depth the concept of a chamber for nonprofits, the structures, possible membership, program offerings, and desired outcomes. The planning group wrote and presented a straw dog discussion paper that created a framework for a potential Chamber. The result was a unanimous vote to move forward. The planning group continued to meet regularly to develop a business plan and to begin work on securing charitable status for a chamber in Calgary. The Muttart Foundation again provided financial assistance to compliment funding of gifts-in-kind support from all members of the planning group. During the development of the business plan several key issues were debated. These include membership criteria (who could belong), developing a vision, mission, role and values statements, and conducting a focus group to identify a name for the new organization. The Calgary Chamber of Voluntary Organizations (CCVO) was selected as being the most representative and tying the current vocabulary, i.e. voluntary sector. In February of 2003, a third community consultation was held to discuss emerging issues for the nonprofit/voluntary sector, to learn about the Calgary Chamber of Voluntary Organizations and its emerging role in the Calgary community. Following this event, 80 volunteers came forward offering assistance in further developing the model for CCVO. By May 2003 the CCVO planning group had involved more than 80 sector volunteers and upwards of 150 voluntary sector organizations in consultations and project team work to develop protocols and guiding principles. The Muttart Foundation awarded a grant to support CCVO’s formation, and remains as a core funder today. On September 15, 2003 Katherine van Kooy was appointed CCVO’s first President & CEO – and remained in this role until her retirement in March 2017, and was succeeded by David J. Mitchell. 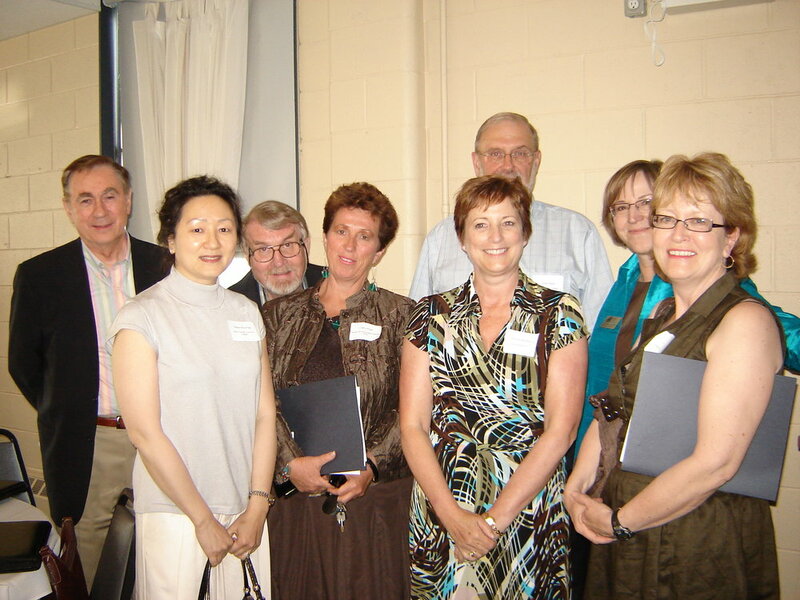 On October 1, 2003 CCVO moved into office space in the recently opened Kahanoff Centre. A nominating committee comprised of four members of the planning group was struck to recruit the first CCVO board. The new Board assumed responsibility January 15, 2004. CCVO became a registered charitable organization and was incorporated as a nonprofit in the Province of Alberta as of May 6, 2004.